We get it, trying to quit smoking is beyond hard, but tobacco really can kill you. 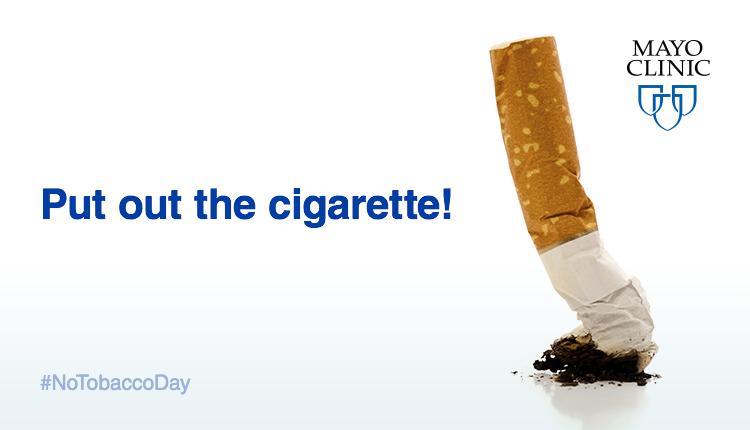 In honor of World No Tobacco Day, do yourself a favor… put down the cigarette and take the first step towards quitting. Check out Mayo Clinic’s quit smoking action plan for resources and guidance. We get it, trying to quit smoking is beyond hard, but tobacco really can kill you.